Fits all new Honeywell True HEPA Towers: HPA060/160 series. 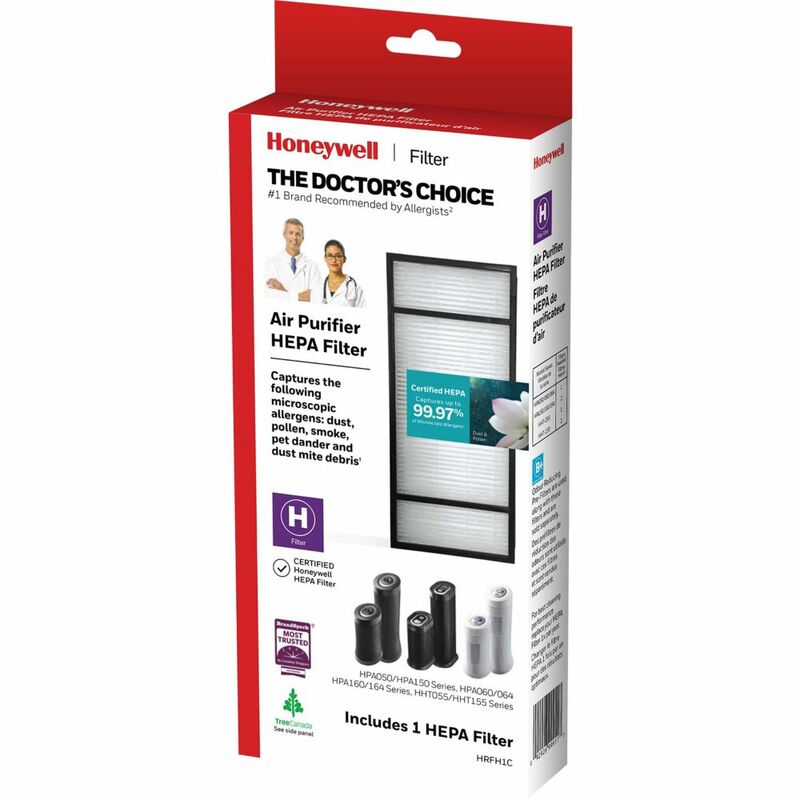 Great for offices, bedrooms and living areas, this Honeywell HEPA Clean Air Purifier offers cleaner, fresher air, and its slim design won't take up much floor space. This unit features easy-to-use controls. It is 95% effective at capturing airborne irritants including pollen, dust, smoke, mould and pet dander for easier breathing. Its powerful fan and up to 5 air circulations per hour help provide maximum air cleaning efficiency. True HEPA Replacement Filter for HPA060/160 Series Air Purifiers is rated 2.0 out of 5 by 1. Rated 2 out of 5 by Ellie from Smells like plastic in purifier. These have a strong plastic smell. I had to run my purifier on full blast for a couple weeks for it to go away.